Beautiful certificate from Hiladora Illicitana S.A. - issued in 1925. 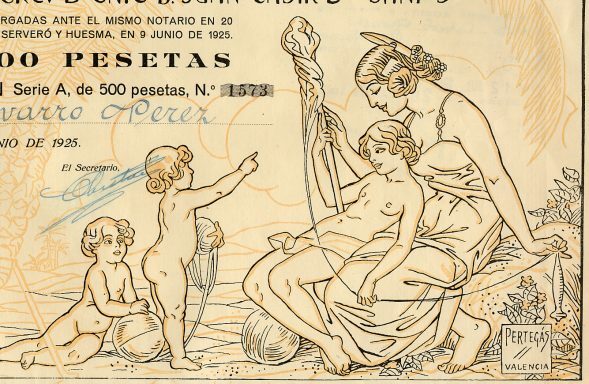 This historic document has a long format, and the whole length is given to a superb drawing of a family on the beach, under a great palm-tree, with elegant mothers and naked children busy spinning cotton. 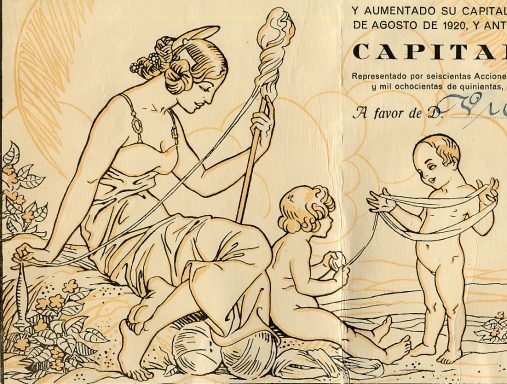 Design by Pertegas, of Valencia. This item is handsigned and is over 82 years old. 44 coupons attached on bottom.